Michael Robertson, the founder of mp3.com, has been investing him money in many interesting, and rather ambitious ways that we’ve covered, such as a competitor to Windows OS – Linspire; a Skype competitor – Gizmo and the familiar ground of mp3 services – MP3tunes. BBC Vision Goes Multi-Platform. For Real This time? The BBC is to bolster multi-platform commissioning. “Again?” I hear you cry. Do you remember back as far as 2002 when Ashley Highfield, then Head on New Media at the BBC, was telling everyone who would listen … or write about him … that the BBC wouldn’t commission any new programmes unless they had an interactive media element built into them? Continue reading BBC Vision Goes Multi-Platform. For Real This time? 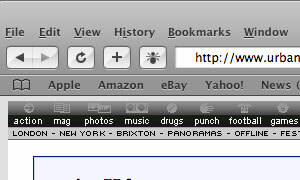 Posted on 28 September, 2007 Author Simon PerryCategories BBC, Content, Cross platform, Industry Trends, Mobile, UK1 Comment on BBC Vision Goes Multi-Platform. For Real This time? 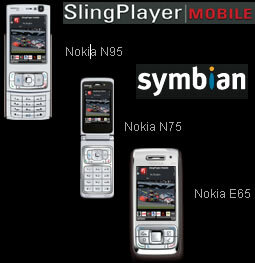 Those who have Nokia Nseries and Eseries phones will be able to buy software, SlingPlayer, to play the video content from their homes to the handsets, wherever they are, from their Sling Boxes. Quick resume on Sling Box: plug one into your TV at home and any programmes that you can watch can be viewed remotely, either on a computer, or portable device. Not only can you change channels remotely, but control the DVR functions. 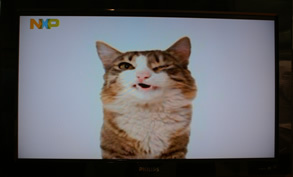 NXP have had a Set Top Box (STB) playing Flash for quite a few years now. They’ve moved this on now play Flash videos, enabling them to support YouTube and other Internet video services without the need for a separate computer – and from the comfort of the sofa. 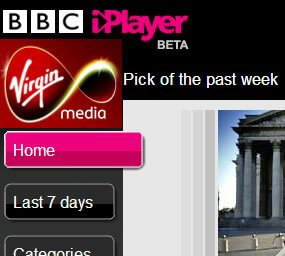 Virgin Media tell us that they “will be the first” TV service to offer the BBC iPlayer service through their STB and remote control – rather than through a computer. 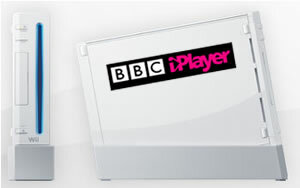 Following yesterday’s Official launch of the BBC iPlayer, we thought this would of interest to follow up. The browser wars just kicked off again as Apple’s CEO announced a new Windows rival for market leaders Microsoft Explorer and Mozilla Firefox. Declaring himself ready to “dream big,” Steve Jobs declared that he wanted his company to expand on the the 4.9% market share currently enjoyed by his Safari browser, which until now has only been available on the Apple platform. 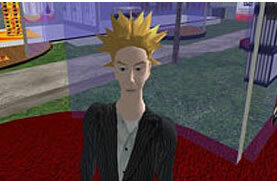 Tonight sees the first BBC TV programme broadcast in Second Life – The Money Programme. Not surprisingly, the subject will be virtual worlds with two sections being covered – free to enter worlds like Second Life and pay for services, or Massively Multiplayer Online Games (MMORPG), like World of Warcraft. We know Tech is hitting all media businesses, but how are they currently responding? Howard Scott has already covered North One TV and Sony BMG. Today’s final piece covers Kempster, their work with European football and the conclusion. Highlighting through italics are ours. In 1994 the World Cup Sponsorship was managed using a fax machine. Zoom to the present day and you can see how quickly things are changing (for the better!) Amy sees a big challenge for sponsors in the digital age being how do they carve out a unique position for themselves and their offerings when the playing field is so level?